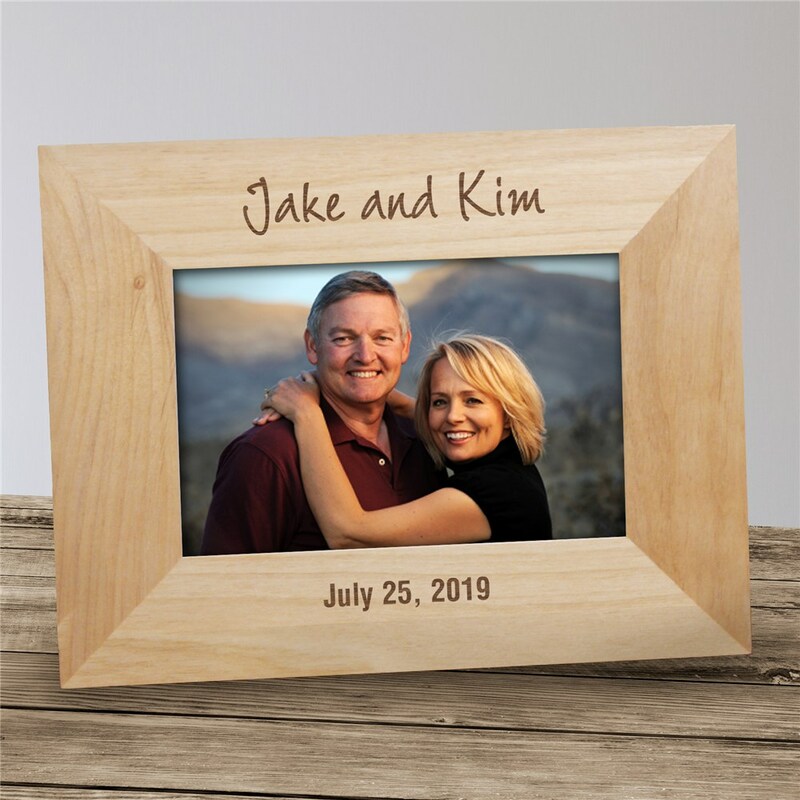 These personalized wood picture frames make great gifts for Weddings, Valentine's Day or any Special Occasion. Our Valentines Day Personalized Wooden Picture Frames can be personalized with two line custom message. Frame comes in three sizes, please choose from, 4"x6", 5"x7" and 8"x10". Easel back allows for desk display or can be wall hung. Includes FREE Personalization! Makes a great Personalized Wedding Favor. Don't forget this Personalized Sweetest Day Gift makes a great gift for Mom, Dad, Grandma or Grandpa. Also makes a Personalized Wedding or Anniversary Gift.